I have been in the UK for a week now, most of that time dedicated to family and outings with mother. Trips to what passes in these parts as “ the big smoke” and a wander around “The Eden Project”, not quite as relaxing as you may imagine. 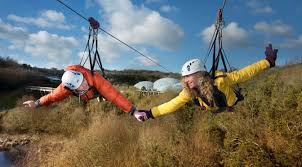 The Eden Project is built in an old and pretty large quarry, the only lapse in the exemplary service received from all quarters so far was the lack of provision of an electric wheelchair for mater despite it being booked and paid for well in advance. Thus the “stroll” around the gardens turned out to be more of a “push around” on my part as “designated carer” and de facto wheelchair pusher. As you may imagine, an old quarry, even one so magnificently re-purposed to accommodate exotic plants from around the globe, still has some fairly abrupt changes in contour. I was thus thankful that at least our manually operated chair did have brakes. Mother was no doubt thankful too. She has flown the “Sky Wire” as celebration of her 90th birthday at this very same venue two years back. However that was a planned adventure. An unplanned loss of control down a steep slope in a wheelchair with a mind of its own, piloted by a ninety two year old woman with seriously waning eyesight would probably have proven just a little too Gung Ho. The Skywire at the Eden Project. 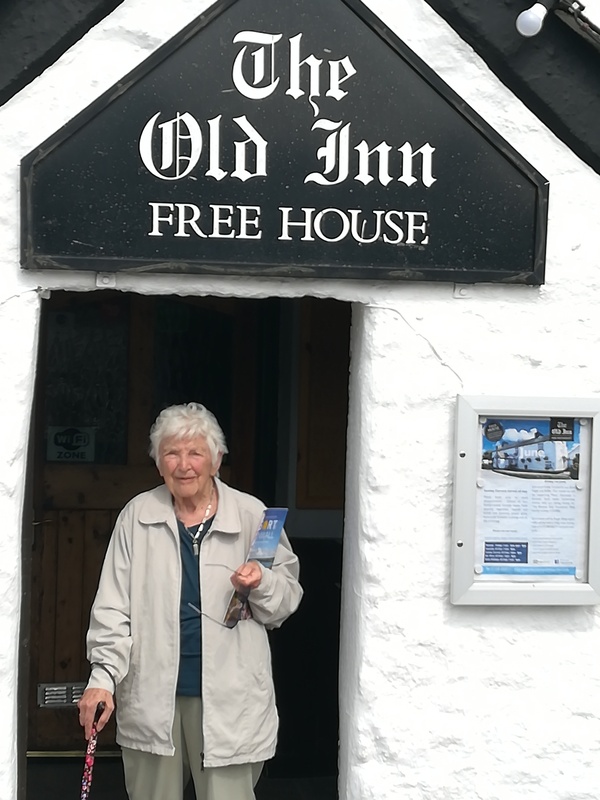 Anyway, the steep slopes and humidity of the Rainforest Dome were eventually undertaken without major mishap and the marginal dehydration of aforementioned carer was set straight after a visit to “The Old Inn” in St Breward on the way home. A pint or two of ale and a delicious panini proved to be all the medication required for near full recovery. The Old Inn in St Breward, apparently the highest pub in Cornwall and a welcome watering hole after the exertions of the Eden Project. But now I am in Truro, administrative hub of Cornwall and gateway to the Fal River estuary, a massive piece of tidal water where I had hoped to catch a sea bass or two. The bass have been making something of a comeback over the years after populations were in serious decline, but that said one has to find them and finding them in a massive tidal estuary such as the Fal is a fairly intimidating notion. On the walk from Mylor around the coast towards Flushing, the volume of water in sight really had me questioning the wisdom of my quest, thoughts of throwing an insignificant twist of feather on the end of a thirty foot line trusting that a fish may see it were to my mind pure fantasy. So I convinced myself that I was enjoying a very pleasant walk with the option of throwing a line, rather than seeing things as a serious fishing expedition. Such mind games take a little of the pressure off, but in my heart of hearts I knew that I would be dissatisfied if I failed to lure at least one small bass to the fly. Confidence was really rather low, I never saw anyone else fishing, and this on a remarkably sunny Saturday. Logic suggests that if the fishing was good there would be fishermen in sight, and there weren’t. No matter, I figured that a little casting practice from the rocks with the optional possibility of perhaps hooking a fish was no bad way to waste an hour or two. I did begin to wonder if any bass would show up, but they are inherently mobile and wander in and out of the estuary with the tides, such that at any given moment you may encounter a shoal. 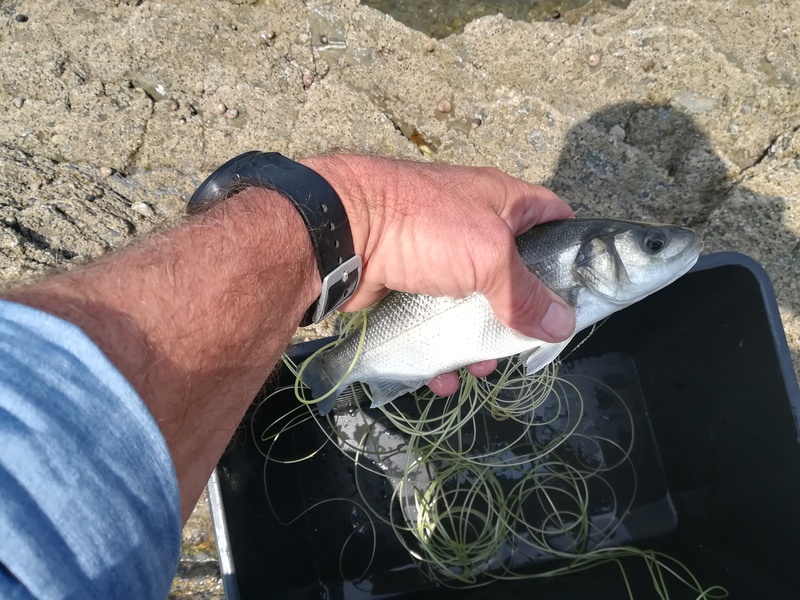 I persevered, starting on the rocks opposite Falmouth Harbour and working my way along the coast towards Flushing I eventually hit a shoal of “schoolie bass” and managed to land one. Some time later I landed another. Unremarkable fishing in many ways but for the fact that I had never taken a sea bass on fly in this estuary previously. It is, as said, a large piece of tidal water and one suspects it may take a lifetime of dedication to understand its flows and know its fishing marks well. So I was well pleased with my humble success. A fairly diminutive Schoolie Bass, but taken on the fly and something of a milestone. The next day we headed out to try to repeat the success but to no avail. In the end we walked back to Mylor over the top of the hills along a footpath and headed home. 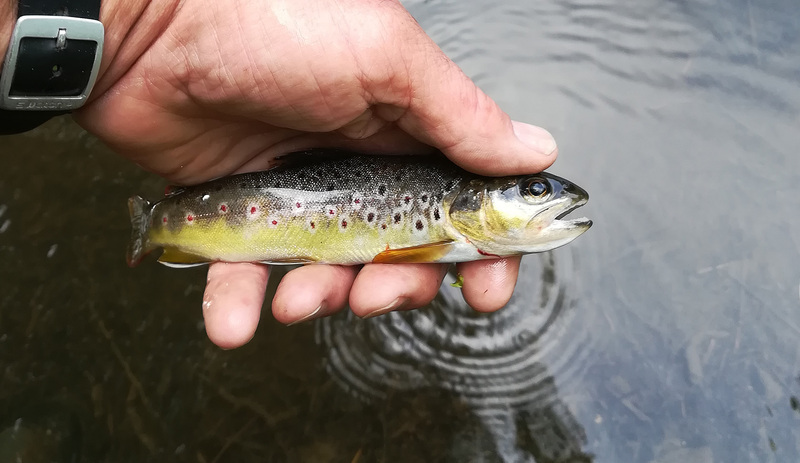 Perhaps the disappointment got to me because later in the day I headed out to a section of stream that is part of the local fishing passport scheme. The beat was #36 on the scheme and is part of the Tresillian River, just above the section that it tidal. Finding the correct parking and then the ticket box proved to be easy, not so much finding the river however. The instructions were “Walk down to the river through the rush pasture” , no rushes in evidence and it took me almost an hour to find the water. I had forgotten about brambles and stinging nettles, but I am now officially reacquainted with them, blood stains down my arms and an unpleasant “buzzing” sensation in my hands , arms and legs from the nettles serve as reminders of my reacquaintance with some of the less pleasant components of this verdant isle. All that said and done it was an interesting and tiny stream, no room to make a proper cast so all presentations were roll casts, often sideways to avoid all the overhanging vegetation. Casting proved to less problematic than striking. There was rarely room to swing the rod and in the end I tried to focus on horizontal strikes, vertical ones would merely land one in trouble with all the overhanging branches. I did manage to capture a few wild brown trout though. Diminutive perhaps but beautifully coloured and the real fishing on this trip only starts in about a week’s time when I head up to the Wye and Usk in Wales. Tomorrow I shall visit the upper Fal on another passport beat, still not serious fishing, but more “ticking venues”, trying to catch fish in places I have never previously visited. It should also provide a level of preparation for my time in Wales later. By then I should have sorted out the new fishing vest and its contents into some sort of order. For now I shall content myself with the idea that I did at least catch some fish, in both the fresh and saltwater venues visited and that, for the present, represents success enough.